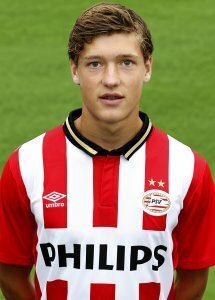 Sam Lammers joined famous PSV Eindhoven academy in 2010 from Willem II. He hasn’t been considered to be a great talent since his early years, but he has progressed a lot during the last 2-3 seasons and now he is regarded as one of the most exciting prospects at the club. He made his professional debut for the reserves team Jong PSV in a 1–0 Eerste Divisie victory over Go Ahead Eagles. His good performances didn’t go unnoticed by the national coaches and in September 2015 Sam has received his first call up to the Netherlands U19 squad.